The demographics of Somalia encompass the demographic features of Somalia's inhabitants, including ethnicity, languages, population density, education level, health, economic status, religious affiliations and other aspects of the population. Young Somali women at a community event in Hargeisa. Somalis constitute the largest ethnic group in Somalia, at approximately 85% of the nation's inhabitants. They are organized into clan groupings, which are important social units; clan membership plays a central part in Somali culture and politics. Clans are patrilineal and are typically divided into sub-clans, sometimes with many sub-divisions. Through the xeer system (customary law), the advanced clan structure has served governmental roles in many rural Somali communities. Somali society is traditionally ethnically endogamous. So to extend ties of alliance, marriage is often to another ethnic Somali from a different clan. Thus, for example, a recent study observed that in 89 marriages contracted by men of the Dhulbahante clan, 55 (62%) were with women of Dhulbahante sub-clans other than those of their husbands; 30 (33.7%) were with women of surrounding clans of other clan families (Isaaq, 28; Hawiye, 3); and 3 (4.3%) were with women of other clans of the Darod clan family (Majerteen 2, Ogaden 1). Certain clans are traditionally classed as noble clans, referring to their nomadic lifestyle in contrast to the sedentary Sab who are either agropastoralists or artisinal castes. The four noble clans are Darod, Dir, Hawiye and Isaaq. Of these, the Dir, Hawiye and Isaaq are regarded as descended from Irir Samaale, the likely source of the ethnonym Somali. The Darod have separate agnatic (paternal) traditions of descent through Abdirahman bin Isma'il al-Jabarti (Sheikh Darod). Sheikh Darod is, in turn, asserted to have married a woman from the Dir, thus establishing matrilateral ties with the Samaale main stem. Although often recognized as a sub-clan of the Dir, the Isaaq clan claims paternal descent from one Shaykh Ishaq ibn Ahmad al-Hashimi (Sheikh Isaaq). "Sab" is the term used to refer to minor Somali clans in contrast to "Samaale". Both Samaale and Sab are the children of their father "Hiil" whose is the common ancestor all Somali clans. 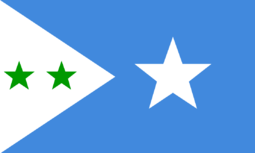 A few clans in the southern part of Greater Somalia do not belong to the major clans, but came to be associated with them and were eventually adopted into one of their confederations: Gaalje'el in Hiran and elsewhere in central Somalia traces its paternal descent to Gardheere Samaale; Garre in the Somali Region and North Eastern Province is divided into two branches: Tuuf claiming itself to be Garre Samaale, and Quranyow, who married Tuuf's daughter, is of Mahamed Hiniftir Mahe Dir lineage; Degoodi in the Somali Region and North Eastern Province is related to Gaaje'el as Saransoor and traces its patrilineage to Gardheere Samaale; Hawaadle in Hiran belongs to the Meyle Samaale; Ajuraan in the North Eastern Province claim descent from Maqaarre Samaale and Sheekhaal acknowledges descent from Sheikh Abadir Umar Ar-Rida, also known as Fiqi Umar. Thus, the Gaalje'el, Garre, Degoodi Ajuraan and Hawaadle are said to have patrilateral ties with the Dir and Hawiye through Samaale to Aqeel Abu Talib, whereas the Sheekhaal traces descent to a different forefather than the Samaale progeny, but also ultimately to Aqeel Abu Talib. The Digil and Mirifle (Rahanweyn) are agro-pastoral clans in the area between the Jubba and Shebelle rivers. Many do not follow a nomadic lifestyle, live further south and speak Maay. Although in the past frequently classified as a Somali dialect, more recent research by the linguist Mohamed Diriye Abdullahi suggests that Maay constitutes a separate but closely related Afro-Asiatic language of the Cushitic branch. A third group, the occupational clans, have sometimes been treated as outcasts because traditionally they could only marry among themselves and other Somalis considered them to be ritually unclean. 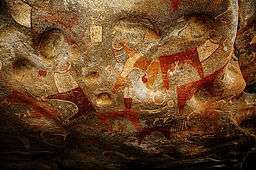 They lived in their own settlements among the nomadic populations in the north and performed specialised occupations such as metalworking, tanning and hunting. Minority Somali clans include the Gaboye, Tumaal, Yibir, Jaji and Yahar. There is no clear agreement on the clan and sub-clan structures. The divisions and subdivisions as given here are partial and simplified. Many lineages are omitted. Note that some sources state that the Rahanweyn group is made up of the Digil and Mirifle clans, whereas others list the Digil as a separate group from the Rahanweyn. Non-Somali ethnic minority groups make up about 15% of the nation's population. They include Bantus, Bajunis, Eyle, Ethiopians, Indians, Pakistanis, Persians, Italians and Britons. Somali and Arabic are the official languages of Somalia. The Somali language is the mother tongue of the Somalis, the nation's most populous ethnic group. It is a member of the Cushitic branch of the Afroasiatic family. In addition to Somali, Arabic, which is also an Afroasiatic tongue, is an official national language in Somalia. Many Somalis speak it due to centuries-old ties with the Arab world, the far-reaching influence of the Arabic media, and religious education. English is widely used and taught. Italian used to be a major language, but its influence significantly diminished following independence. It is now most frequently heard among older generations. Other minority languages include Bravanese, a variant of the Bantu Swahili language that is spoken along the coast by the Bravanese people, as well as Bajuni, another Swahili dialect that is the mother tongue of the Bajuni ethnic minority group. According to the 2010 revision of the UN's World Population Prospects, the total population was 9,331,000 in 2010, compared to 2,264,000 in 1950. The proportion of children below the age of 15 in 2010 was 44.9%, 52.3% was between 15 and 65 years of age, while 2.7% was 65 years or older. 1 2 "Somalia". World Factbook. Central Intelligence Agency. 2009-05-14. Retrieved 2009-05-31. ↑ Abdullahi, Mohamed Diriye (2001). Culture and Customs of Somalia. Greenwood Publishing Group. p. 142. ISBN 0313313334. ↑ Lewis, I. M. (1999). A Pastoral Democracy: A Study of Pastoralism and Politics Among the Northern Somali of the Horn of Africa. James Currey Publishers. pp. 11–14. ISBN 0852552807. Retrieved 8 July 2016. 1 2 Lewis, I. M.; Said Samatar (1999). A Pastoral Democracy: A Study of Pastoralism and Politics Among the Northern Somali of the Horn of Africa. LIT Verlag Berlin-Hamburg-Münster. pp. 11–13. ISBN 3-8258-3084-5. ↑ Adam, Hussein Mohamed (1997). Mending rips in the sky: options for Somali communities in the 21st century. Red Sea Press. ISBN 9781569020739. Retrieved 9 August 2016. 1 2 3 4 5 6 7 8 Adam, Hussein Mohamed; Ford, Richard (1997-01-01). Mending rips in the sky: options for Somali communities in the 21st century. Red Sea Press. p. 127. ISBN 9781569020739. 1 2 3 Ahmed, Ali Jimale (1995-01-01). The Invention of Somalia. The Red Sea Press. p. 121. ISBN 9780932415998. 1 2 Ahmed, Ali Jimale (1995-01-01). The Invention of Somalia. The Red Sea Press. p. 130. ISBN 9780932415998. 1 2 3 Hayward, R. J.; Lewis, I. M. (2005-08-17). Voice and Power. Routledge. p. 242. ISBN 9781135751753. 1 2 "Dynamics and Trends of Conflict in Greater Mandera" (PDF). Amani Papers. Retrieved 25 June 2016. ↑ Ahmed, Ali Jimale (1995-01-01). The Invention of Somalia. The Red Sea Press. p. 122. ISBN 9780932415998. ↑ Abdullahi, Mohamed Diriye (2001). Culture and Customs of Somalia. Greenwood Publishing Group. p. 9. ISBN 0313313334. ↑ Lewis, I. M. (1999-01-01). A Pastoral Democracy: A Study of Pastoralism and Politics Among the Northern Somali of the Horn of Africa. LIT Verlag Münster. p. 191. ISBN 9783825830847. ↑ Protonotari, Francesco (1890-01-01). Nuova antologia (in Italian). Direzione della Nuova Antologia. p. 343. ↑ Gale Research Inc, Worldmark encyclopedia of the nations, Volume 2, (Gale Research: 1984), p.278. ↑ Central Intelligence Agency (2011). "Somalia". The World Factbook. Langley, Virginia: Central Intelligence Agency. Retrieved 2011-10-05. ↑ I. M. Lewis, Peoples of the Horn of Africa: Somali, Afar and Saho, (Red Sea Press: 1998), p. 11. 1 2 3 Helena Dubnov, A grammatical sketch of Somali, (Kِppe: 2003), pp. 70–71. ↑ Diana Briton Putman, Mohamood Cabdi Noor, The Somalis: their history and culture, (Center for Applied Linguistics: 1993), p. 15.: "Somalis speak Somali. Many people also speak Arabic, and educated Somalis usually speak either English or Italian as well. Swahili may also be spoken in coastal areas near Kenya." ↑ Fiona MacDonald et al., Peoples of Africa, Volume 10, (Marshall Cavendish: 2000), p. 178. ↑ CIA (July 2010). "Somalia". The World Factbook. Central Intelligence Agency. Retrieved 2010-06-30. 1 2 3 "Africa - SOMALIA". CIA The World Factbook. Wikimedia Commons has media related to Demographics of Somalia.